Home / Demo Lock Remove Tool. / Oppo F7 CPH1819 Offical Stock Rom & Flash Tool Support For Network Unlock / oppofiles / Pattern / Pin / Oppo F7 CPH1819 Offical Stock Rom & Flash Tool Support For Network Unlock,Pattern ,Pin,Demo Lock Remove Tool. 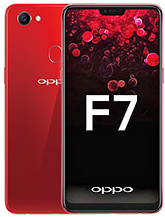 4# Download Oppo F7 Cph1819 Stock Rom.